20th Century Fox does right by fans with the Predator 3-Movie Collection, bringing together Predator, Predator 2, and Predators in a nice neat and stylish 4K package. From Schwarzenegger to Glover to Brody, each installment offers a fun spin on the same story about a group of humans being killed off one by one by invisible, intergalactic trophy hunters. Both Predator and Predator 2 benefit greatly from their 4K/HDR10 presentations, while Predators enjoys only a modest uptick in visual quality. Audio mixes remain the same for all three films, for better or worse. If you're a fan of the franchise, this package at this price point is an easy one to call Recommended. "He hunts by seeing our heat." As we've done some great coverage of this franchise already, I strongly encourage you to take a look at some of our past reviews - especially if you haven't purchased any of these on Blu-ray yet. As I mentioned in my review for the Predator 4K Ultra HD Blu-ray -- 4/5 stars -- I'm a huge fan of the franchise. Like a number of Schwarzenegger's films, I literally grew up watching this movie. It was one of the few horror films to freak me out as a kid but at the same time inspired me to devour countless pages of comic books, blow an untold amount in allowance money on the Kenner action figures, and spend hours of precious afternoon daylight time huddled in the dark corner of my basement dominating that nearly impossible NES game (seriously that thing was all sorts of hard). When Predator 2 -- 3.5/5 stars -- hit movie screens in the fall of 1990, it was the first R-Rated film my Dad took me to see in theaters. Because of that, I've always had a special love for it in spite of some glaring flaws. It wasn't as fresh as the original. The lack of Arnold is a bit of a problem, but the new City Hunter Predator, as he's known, is more brutal and comes armed with a host of fun gadgets to maim and dismember various L.A. gang members and Danny Glover's buddies. It also marked the first film novelization I ever read while I spent an equal amount of time collecting the Dark Horse comic adaptation. I proudly have a 1:6th scale City Hunter figure from Hot Toys displayed in my collection. It's far from perfect, but it's often an overlooked sequel in my opinion that smartly expands on the mythos of the creatures and it led to the tease of an alien skull in the trophy room setting off an entire comic book series, video games, and an unfortunately underdeveloped film franchise. After the disappointing AVP and AVP: Requiem spinoffs, Predators -- 3/5 stars -- proved to be a nice breath of fresh air. By avoiding any mention of the franchise mashup films, this one got to go back to basics and strike out some new territory with some new characters. I do enjoy the film, overall, but I do have some qualms. For starters, I never really took to the idea of different species of Predators that only differ in size only. That just felt like an odd excuse to have the classic-looking Predator from the first film make what amounted to a glorified cameo appearance. A few other nitpicks keep it from being a true classic in my book But, all in all, it's a fun flick and I do break it out every now and again for fun. As we are just a short couple weeks away from the release of The Predator in movie screens, this is a perfect time to zip through the franchise when it was at its best. Hopefully, this third sequel will live up to the franchise namesake. As a longtime fan, I am always nervous whenever a new entry appears on the horizon. I hope for the best but I'm fully aware of the potential for unfortunate results. Even if it's a dud, at least these first three films are fun solid films and worth revisiting. Predator 3-Movie Collection arrives on 4K Ultra HD Blu-ray in a 6-disc 4K UHD + Blu-ray + Digital set courtesy of 20th Century Fox. All three films are pressed onto Region Free BD-66 discs and are housed in a sturdy 6-disc traditional black UHD case with identical slipcover artwork. Each disc enjoys their own tray and is not stacked on top of one another. Each disc opens to animated main menus with traditional navigation options. The included Digital code is Movies Anywhere compatible - but only redeems HD on Vudu and other services. Apparently, the films were updated to 4K UHD for iTunes, but I don't have an Apple 4K set and can't speak to those transfers. Predator -- 4/5 stars -- has never looked better on home video. That isn't to say that it is a perfect presentation. As this film was marred with an assortment of production issues, there are a number of soft focus shots, shots with heavy grain, or overly dark that simply can't be completely fixed. that said, free of any horrid DNR issues and the smart judicious usage of HDR10, the image is a notable improvement. For a complete breakdown of this new transfer read my review for the single-film Predator 4K Ultra HD Blu-ray release HERE. Predator 2 -- 4.5/5 stars -- was never an amazing looking film, to begin with, but it always enjoyed a pretty nice home video presence throughout the years. As it didn't have to suffer the production issues of the first film, it doesn't have to contend with the same number of baked-in problems. With that in mind, this 2160p / H.265 / HDR10 transfer for Predator 2 is pretty damn good overall. Shot on film and finished photochemically, it isn't limited by a digital intermediate and, in an overall comparison of the films, Predator 2 fairs the best of the trilogy. Fine grain is apparent but is never even remotely as prominent or distracting as it could sometimes appear in Predator. The opening title card in "Predator Vision" is a real blast as the extra WCG gives the primary-laden heat vision some real pop. Details get a notable push over the SDR 1080p counterpart. The battle sequence between the L.A. PD and the Columbian gang is a nice opening spectacle. Explosions, character costuming, and bullet-pocked brick walls come through with great clarity. I loved seeing all the dents in the riot shields the cops try to use at one point. As the film progresses, the next improvement I noticed isn't exactly a big one, but it caught my eye -- the stitching in clothing. I felt like I was seeing the patterning of various outfits for the first time. Gore and creature details also enjoy a notable improvement - Gary Busey's scarred face in the meatpacking facility is particularly gnarly. Predator processing King Willy's skull is another great moment - especially when you see that Alien skull mounted on the wall. While details are impressive, the judicious use of HDR10 does offer up some great color, contrast, and black level improvements. The film has always enjoyed a yellowish-brown look and that is nicely retained but also doesn't overpower the rest of the spectrum. Between blood and blue skies, there is plenty or primary presence. The sequence in the meatpacking plant as it's bathed in blue with some great reds from the Predator's targeting lasers just looks awesome. Black levels are nice and inky giving the image a great sense of depth while contrast is well balanced giving whites a nice bright quality to them. Flesh tones are even without looking too tan. However, some of the film's dated visual effects don't fair as well. The scene in the ship when the rest of the Predator's clan reveal themselves looks a bit rough. The revealed Predators (and subsequently when they disappear again) all look a bit flat and look like they hover over the screen rather than being organically part of the scene. There are a couple of soft shots that stick out and scenes with a lot of haze or smoke lose some detail clarity, but that's the worst of things. All in all, I'm very pleased with this transfer. As more and more back catalog 4K Ultra HD titles get released, you start to see the pitfalls of early 2K Digital Intermediates. Predators -- 3.5/5 stars -- was not only is sourced from a 2K DI, it was also filmed on the Panavision Genesis HD camera system which had its own built-in resolution limitations. As such, the transition to 4K Ultra HD Blu-ray with this 2.40:1 2160p / H.265 / HDR10 transfer isn't exactly earth-shattering stuff. In terms of clarity and detail appreciation, there's virtually little to no perceptible improvement. The film was already pretty good looking in 1080p and so upsampled to 2160p there just isn't a lot of room to maneuver. The biggest and most notable improvements you're likely to experience is with the HDR10 WCG. Not slathered or overly processed, the image gets a nice boost in color accuracy, primaries, with a little extra push for black levels and contrast. The first notable thing I spotted here was how lush and vivid the jungle setting appears while extra shadow separation adds to the sense of depth to the image. Blue skies, blood, guts, and yellow sun get some nice extra presence while white eyes and teeth have a nice natural gleam to them. Blacks get a little extra refinement throughout, the sword fight sequence in the last act is a standout in that regard. However, of the three Predator films in this set, this one features the heaviest presence of CGI - and it can really stand out. The opening falling sequence is even more obvious looking now. Effects shots are notably softer - the falcon probe is a pretty glaring standout as are several other weightless effects shots. CGI explosions also stick out, akin to the flames in Mad Max: Fury Road. Taken as a whole this isn't a "bad" transfer, it's just not a big leaps and bounds difference that is as apparent for Predator and Predator 2. Those two transfers enjoy several noteworthy improvements where Predators really only benefits from the wider color gamut. In all honesty, if it wasn't a part of the 4K Ultra HD 3-Movie Collection, I wouldn't recommend upgrading just for this title alone. All three Predator films recycle their previously released 5.1 DTS-HD MA audio tracks. Sure, it would have been awesome to get an Atmos mix or a DTS:X track to punch some of the action up, but the soundtracks for the first and third films were already impressive in their own right and still hold up reasonably well. The second film, alas, remains a mediocre effort. Predator's audio, while not perfect, is a solid effort that hit things where it counted most, dialogue clarity, gunshots, explosions, screams of terror. But, it's a bit dated and an improved mix or a new object-based track would have been great. Predator 2 gets by with its audio track. At times it is solid work and sounds great with good imaging efforts, but a lot of the time it's pretty flat and a bit lifeless. Dialogue clarity is fine, but it still stumbles. Predators is the only film of the proper trilogy that truly earns great marks. It was a winner when it was first released and it's a showcase for what modern sound mixing and design can bring to a film. This presentation's only faulting is that it hasn't been upgraded to a more modern object-based mix. Like Predator, no new bonus features were created for this release of Predator 2 or Predators. While it would have been nice to see something new in the mix, Fox made sure all of the previously issued bonus features were still available. You've got a few good hours of audio commentaries and behind the scenes features to pick through. 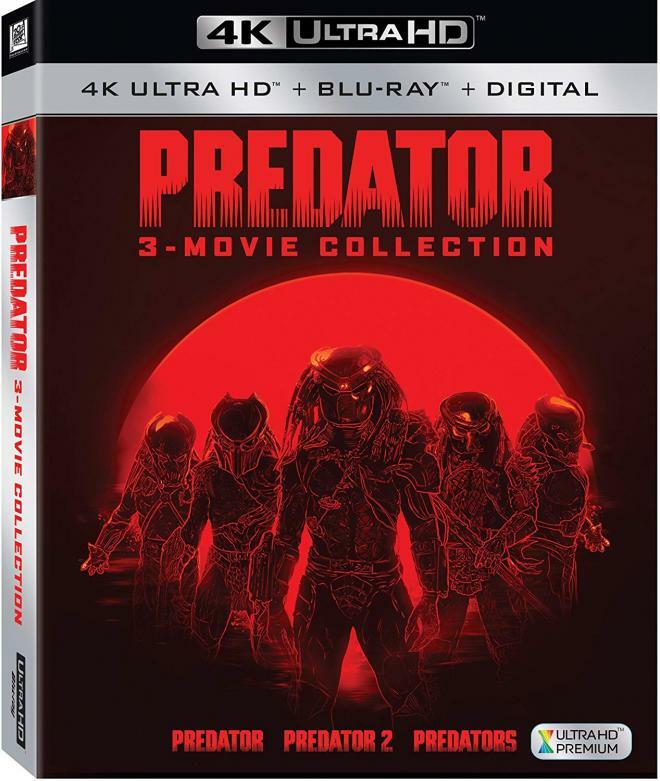 If you're a fan of aliens with a penchant for hunting down humans and turning their various parts into trophies, the six-disc Predator 3-Movie Collection 4K Ultra HD Blu-ray set is exactly what you need to have in your collection. I love the franchise dearly and have many fond memories of watching the first two films with my Dad as a kid. After the rough and ultimately disappointing AVP films turned out to be, I'm glad Predators served to be a sort of franchise course correction. On 4K Ultra HD Blu-ray for the first time, we get to enjoy the films all over again with added resolution and wider color gamut. 20th Century Fox brings the three primary franchise films to 4K Ultra HD with pretty solid results overall. Predator finally receives a deserving home video release after a couple rather lackluster and outright ugly HD releases. Predator 2 gets to shine in all of its creepy cheesy gory glory as this hyper-violent sequel probably fairs the best. And, while Predators is a fine sequel in its own right, the film doesn't enjoy much of a benefit in the resolution department but the smart use of HDR does give the image a little pop where it counts. Taken as a whole this is the best way to enjoy your favorite invisible spine-ripping creatures from another world. 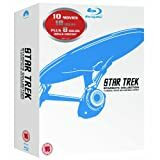 If you're a fan of the franchise and watch them on a regular basis, you can safely consider this 3-Movie Collection 4K Ultra HD Blu-ray a Recommended purchase. Otherwise, stick with the standalone Predator 4K Ultra HD Blu-ray.